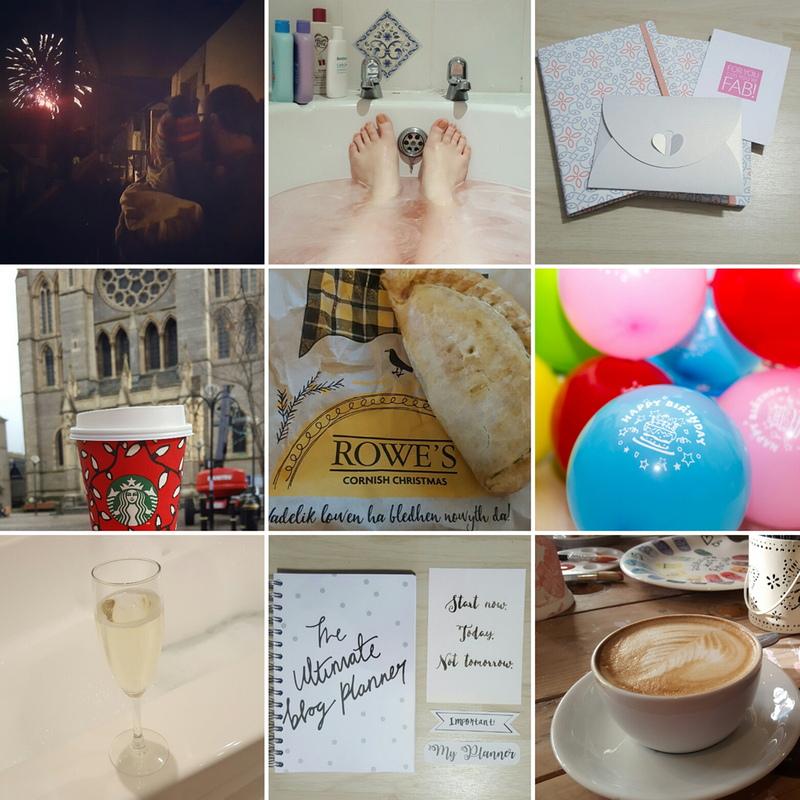 November is always a good photo month for me – fireworks, starting the Christmas countdown and birthday surprises! If you haven’t heard enough about my birthday already, check out my month in photos. 1. Jenson’s first time watching fireworks. He didn’t like it. We went back in after a minute. 3. Fabulous new co-ordinating stationery to review a new stationery company. Check out what I thought here. 4. Christmas shopping in Truro with the fam and buying all the Christmas drinks. 5. First Christmas pasty of the season. Also loving Rowes’ new bags. 6. Happy birthday to me! 7. First baby free night – and at a swanky hotel no less! Check out my review of our stay here. 8. I’ve got a new blog planner from Dot Creates. Full review coming soon. 9. We took Jenson back to the Craft Box to make some Christmas presents. Coffee (and a lot of patience!) required. I’m working on a post for that too! I hope you all had a lovely November and that December brings you lots of festive cheer.